Peter Cozzens is the international-award winning author or editor of seventeen books on the American Civil War and the American West. Cozzens also recently retired from a thirty-year career as a Foreign Service Officer, U. S. Department of State. Prior to joining the Foreign Service, he served as a captain in the U. S. Army. His newest book is The Earth is Weeping: The Epic Story of the Indian Wars for the American West, published by Alfred A. Knopf in October 2016. It is the recipient of the 2017 Gilder Lehrman Prize in Military History, the Caroline Bancroft Prize in Western History, and--in translation--the 2018 HisLibris Award (Spain) for the best non-fiction work of history. The Earth is Weeping was chosen by Smithsonian Magazine as one of the top ten history books of 2016. It also made several other best books of the year lists, including Amazon, the San Francisco Chronicle, the London Times, the Seattle Times, the Minneapolis Star Tribune, and Newsday. All of Cozzens' books have been selections of the Book of the Month Club, History Book Club, and/or the Military Book Club. Cozzens’ This Terrible Sound: The Battle of Chickamauga and The Shipwreck of Their Hopes: The Battles for Chattanooga were both Main Selections of the History Book Club and were chosen by Civil War Magazine as two of the 100 greatest works ever written on the conflict. The History Book Club called his five-volume Eyewitnesses to the Indian Wars "the definitive resource on the military struggle for the American West." Cozzens's Shenandoah 1862: Stonewall Jackson's Valley Campaign was a Choice "Outstanding Academic Title" for 2009. He was a frequent contributor to the New York Times "Disunion" series, and he has written for America's Civil War, Civil War Times Illustrated, MHQ, Cowboys & Indians, BBC World Histories, the Wall Street Journal, and Smithsonian, among other publications. In 2002 Cozzens received the American Foreign Service Association’s highest award, given annually to one Foreign Service Officer for exemplary moral courage, integrity, and creative dissent. He has also received an Alumni Achievement Award from his alma mater Knox College. Cozzens is a member of the Western Writers of America, the Authors Guild, and of the Literary Society of Washington DC. He also has served as a juror for the prestigious Lincoln Prize and is a member of the Advisory Board of the Buffalo Bill Center of the American West. Cozzens, his wife Antonia Feldman, and their Labrador retriever Jake reside in Kensington, Maryland. 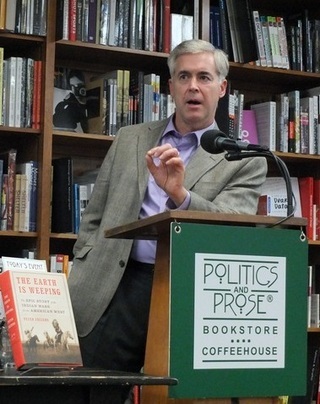 New York, NY, March 2, 2017 – The New-York Historical Society and the Gilder Lehrman Institute of American History announced today that Peter Cozzens has been awarded the Gilder Lehrman Prize for Military History for his book, The Earth Is Weeping: The Epic Story of the Indian Wars for the American West (Knopf). The $50,000 prize is bestowed annually in recognition of the best book in the field of military history published in English during the previous calendar year. Denver, Colorado,November 3, 2017 - The Earth is Weeping has just been awarded the Caroline Bancroft History Prize for the best book in Western History.